As you receive services from us or other providers for a few years, it is important for me as a behaviour analyst that I teach you the skills to not only teach your child new skills but for many children with ASD to prevent problem behaviours occurring in the first place and if they do start occurring for you to figure out as soon as possible why they occur so we can nip them in the bud before those problematic behaviours become habitual. Parent training doesn’t have to be difficult or time consuming. As a parent you can ask your behaviour technician at the end of each session to go through some data and behavioural concerns with you. If you’re a program manager, BCaBA or BCBA you could schedule weekly meetings or telephone consultations with the families to discuss their child’s programs. When it comes to ABA, parental involvement is key. Research has consistently shown that when parents are involved in the ABA therapy process, and understand what, how and why a skill is taught and are shown how to do this yourself, the outcomes are more positive. ABA just isn’t as effective without a team approach. If the new skills that behaviour technicians teach your child are not reinforced, maintained and generalized by the family, then one of two things will happen; your child may lose the skill, OR your child will only display the skill for the therapist. For example, a child who uses PECS or vocal requests with a behaviour technician, but leads their dad by the arm and grunts. Or a child who is toilet trained at school, but wets their underwear when they are at home or at their grandparents. Partial success only when the therapist is around isn’t real success at all. Parents and primary caregivers need to know and understand the therapy goals, behaviour reduction plans, and strategies so well that in the absence of therapeutic intervention you could independently work on and generalise these skills and manage problem behaviours. That is the degree of involvement we are shooting for. A recent study by the Chicago Children’s Clinic found that providing parents with training in established treatments is a necessary component and essential component for children with autism to make and maintain skills. Parents in the Chicago study received 25 hours of training and in one case only 6 hours learning key skills to help their children with autism made significant improvement. With permission I share a video of one of our little boys (6 years) who at intake presented with no functional communication though had some echoic skills. He had poor attending and concentration skills, he was unable to sit down and complete simple tasks (puzzle or other simple close ended activities) unless presented with highly preferred items such as food or ipad. The parent (who you see in the video) received a total of 9 hours training in basic behavioural principles. Aside from attending a classroom for children with special needs (10:2) he did not receive any other form of intervention or therapy. This video was taped about 10 weeks after the 8 hours of parent training were delivered. Starting a program for your child can feel like a daunting and intimidating process, on top of coming to terms with the fact your child has been given a diagnosis. Every parent as part of a natural process will experience the stages of grief – shock, denial, anger, depression, bargaining and at some point, in an ideal world acceptance. Every family we meet is at a different stage in their journey of processing their response to their child’s diagnosis. We aim to walk alongside parents, meet them where they are at but equip and empower them to feel strong enough to support their child in meeting their goals, and working towards their success. Ultimately if our parents are showing signs of stress, not coping, or burn out we aim to provide more intensive support as if our parents burns out, then everything breaks down! If a parent identifies with 2 or more of these indicators, it might be time to seek some additional support. Having a space for yourself to be able to talk about how you feel, process your emotions and develop your own coping strategies can go a long way in improving life. Sense of mastery in their own life – As integral as having children is in the life of parents, having additional interests and commitment that help to foster fulfillment and mastery in a parents life can help to provide balance and purpose in a world that can often feel unbalanced. Asking for help – parents who are able to ask for help and accept it are those who go on to thrive. None of us were created to be islands, and it is our parents who can access the supports that they need in times of challenge who go on to survive and thrive in the future. What is Behavioural Skills Training (BST)? Behavioural skills training is a 4 step approach we use in almost every session we have with our parents and therapists. It is a simple sequential tool that can teach skills in bitesize pieces and as immediate feedback is provided it can help to teach and shape behaviour very quickly and practically through modeling and rehearsal. Dr. Miltenberger defines BST as “a procedure consisting of instruction, modeling, behavioral rehearsal, and feedback that is used to teach new behaviors or skills” (2004, p. 558). And that’s exactly what it is, a 4-step teaching strategy that works! BST teaches a person what to do in a given situation via a series of simple steps. The trainer provides initial instruction on how to do something. In the case of parent training, this might be explaining to parents what a skill is, why we teach it how to teach it. We would verbally describe this as well as providing a written guideline as a back up tool for parents to refer back to. Example: Describe what a mand is, when a child would mand, and how you would teach a mand. Following instruction a trainer would then model for a parent how to teach the skill. Example: In the case of training a parent to teach their child to mand, the therapist would contrive or capture a situation where the child has to mand for something that they want. The trainer would then hand over to the parent to practice the skill that the trained has instructed and modelled for them. This stage often requires lots of practice to get used to teaching the skill and feeling confident in applying it in everyday life. The trainer will record data on correct and incorrect responding during this step. The trainer should provide positive praise for correct responding and some form of corrective feedback for incorrect responses. Example: Provide any feedback to parent on method of teaching the mand. Try to use mainly positive reinforcement and constructive feedback. The trainer will return to earlier steps if a parent continues to struggle. In summary, parents are the ultimate teachers for their children and it is incredibly important that they are involved and understand how to implement procedures to give their child the best outcome possible. The advantage of also having behaviour technicians come to your home is twofold, parents receive respite and they see how others implement the same procedures and behaviour replacement procedures. 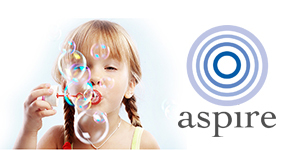 Our Aspire team are here to support you in feeling confident in teaching your child the skills they need to flourish. A big thank you to Melissa for giving us permission to share this video. Well done on making this amazing progress in a short space of time! Brereton, A., V. & J. Tonge., B. J., (2005). Pre-Schoolers with Autism. An Education and Skills training Programme for Parents. Jessica Kingsley Publishers, London, UK. Miltenberger, R. (2004). Behaviour Modification: principals and procedure (3rded.) Belmont, CA. Wadsworth Publishing.